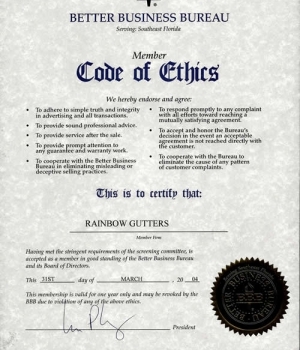 Rainbow Gutters is a family owned and operated company. 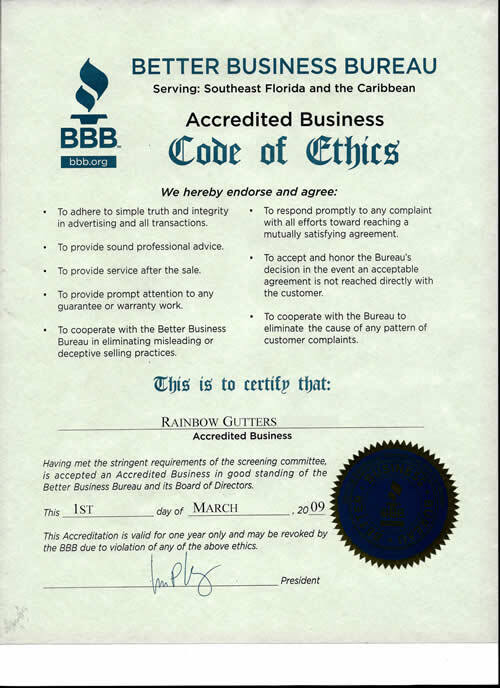 We pride ourselves in having set the example in the industry for the highest quality product with exceptional service, the fairest prices, and a customer satisfaction guarantee that is second to none. Our professional office staff answers real “land lines” in our office eight hours a day and you’ll never receive a busy signal. 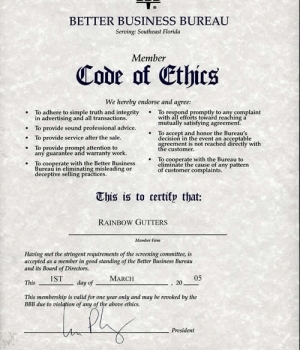 Our office staff, estimators and installers are the most highly skilled people anywhere. 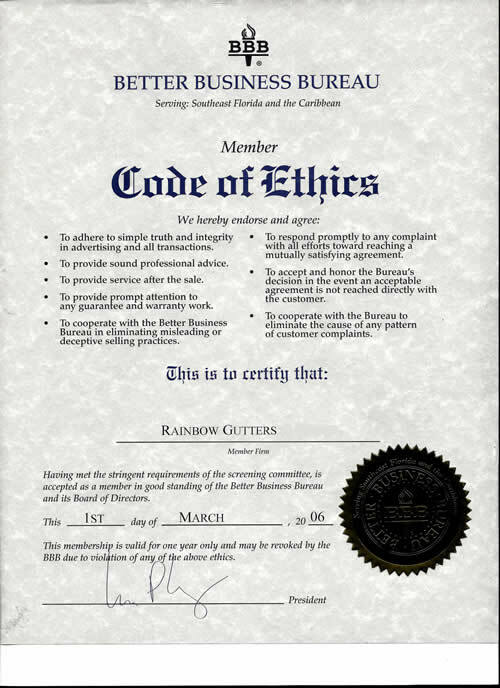 They are all carefully chosen for their experience, ability, knowledge and courteous professionalism. Most of our staff has been working with us for at least 5 years. 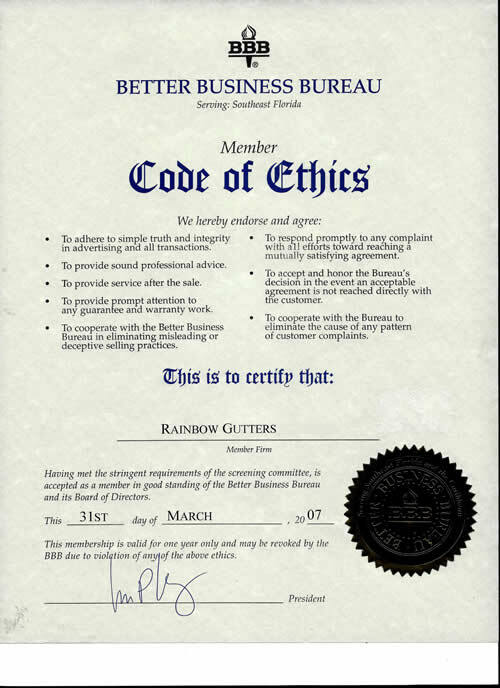 Rainbow Gutters takes great pride in their job to accomplish the most important goal which is "making sure that every single customers totally satisfied". 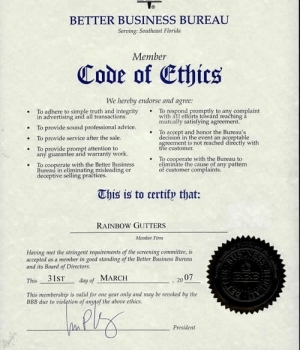 We love questions, because we want to explain the “Great Differences” between the companies in this treacherous marketplace of South Florida. We sincerely welcome and all of your questions and look forward assisting with all of your water control decisions. 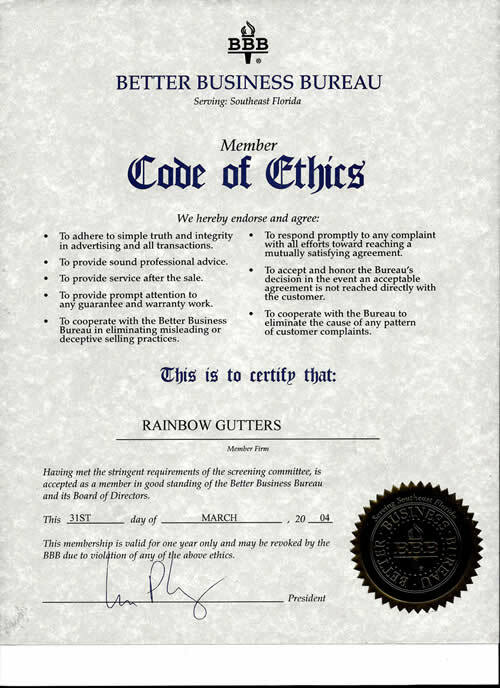 We have been referred by every association in every community, in Palm Beach and Broward for 40 Years. 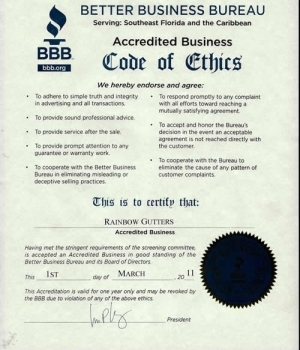 Over 65% of our customers make the effort to refer their friends and families because they appreciate our integrity, our pricing, our dependability, and our superior workmanship. 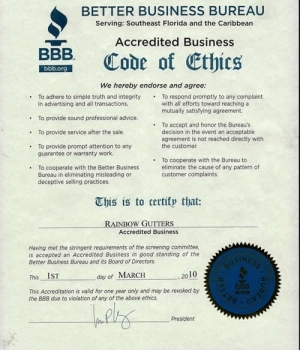 We are a family owned and operated company and pride ourselves in having set the example in the industry for the highest quality , with exceptional service, the fairest prices, and a customer guarantee that is second none. Our professional office staff answer real “land lines” in our office eight hours a day and you’ll never receive a busy signal. Our office staff, our estimators, and our installers are the most highly skilled people anywhere, and are all carefully chosen for their experience, ability, knowledge and courteous professionalism. 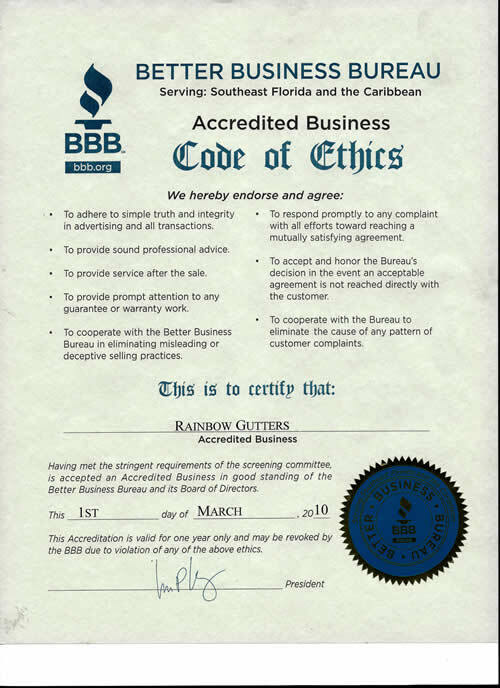 Most of our staff has been with us for at least 5 years and everyone at Rainbow Gutters takes great pride in their job to accomplish the most important goal which is ”every single customers total satisfaction”. 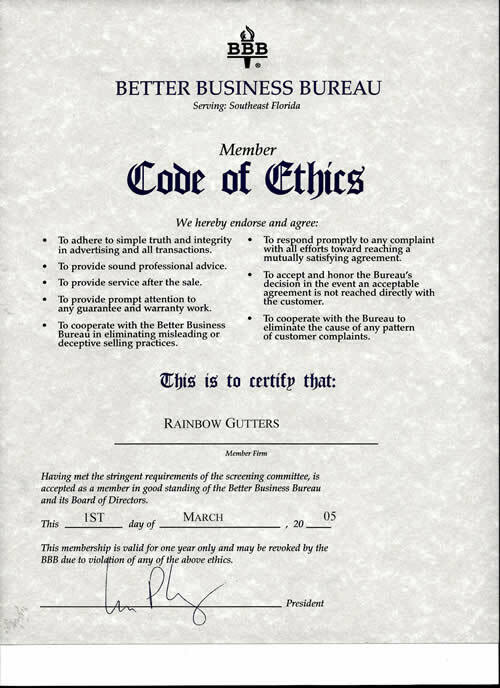 We love questions, because we want to explain the “Great Differences” between companies in this treacherous marketplace of South Florida. 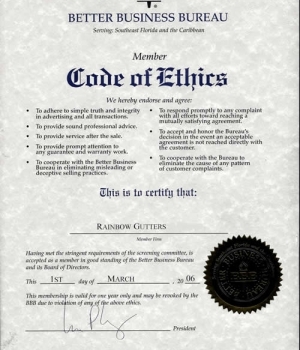 We sincerely look forward to answering all of your questions and assisting with your water control decisions.